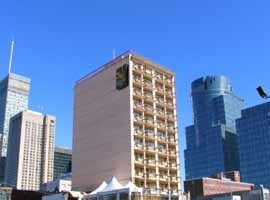 Located on Crescent Street, at the Quality Inn you can accumulate miles with Aeroplan or with Choice Privileges. In our comfortable and spacious junior suites you will find: High speed Internet access, in-room coffee makers, hairdryer and Nintendo games. Located right in the heart of the city on Crescent, near Ste-Catherine Street, renowned for its fine dining and celebrated nightlife. Spend the day shopping in our most popular downtown stores. Enjoy a hockey game or a Rock Concert at the Bell Center located at close proximity. 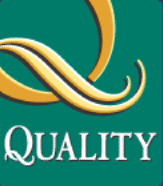 The Quality Inn is a pet-friendly hotel, so come along and stay awhile, you'll be glad you did!